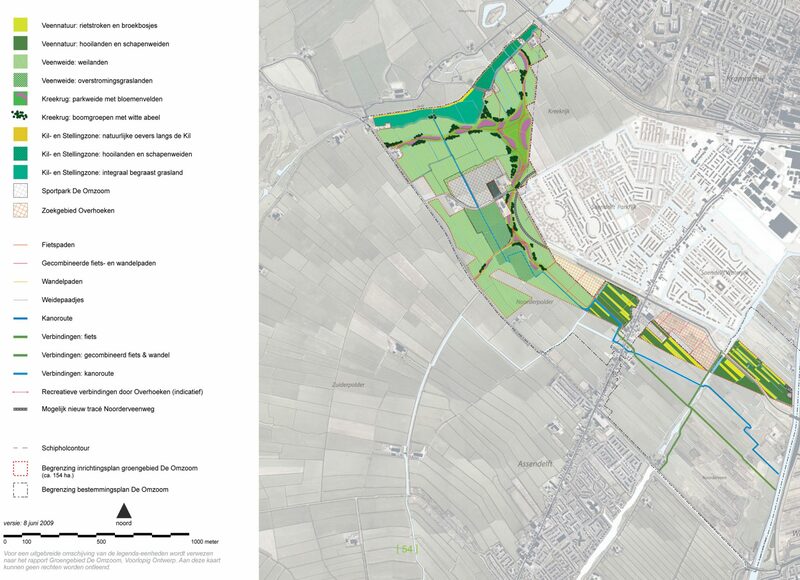 Vista created the design for this 150-hectare park region bordering the VINEX district of Saendelft. 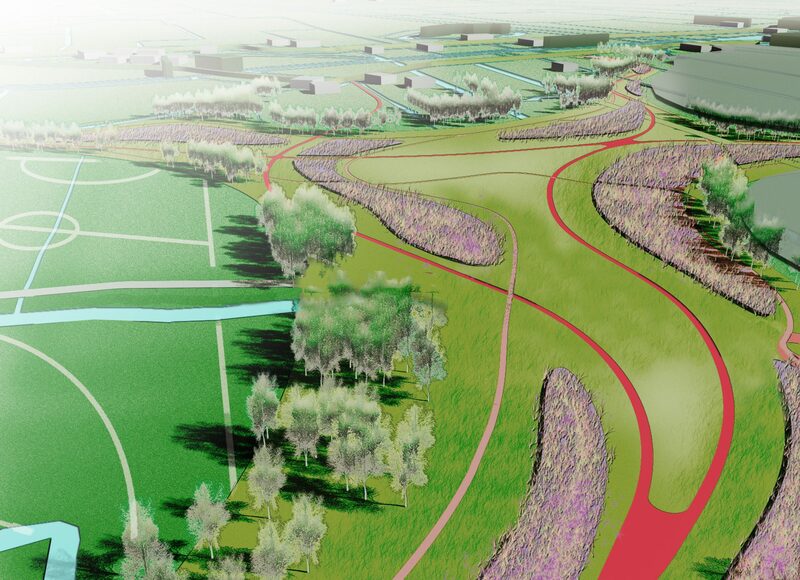 The various layers of time that are reflected in the landscape will receive a new spatial expression and a contemporary function. 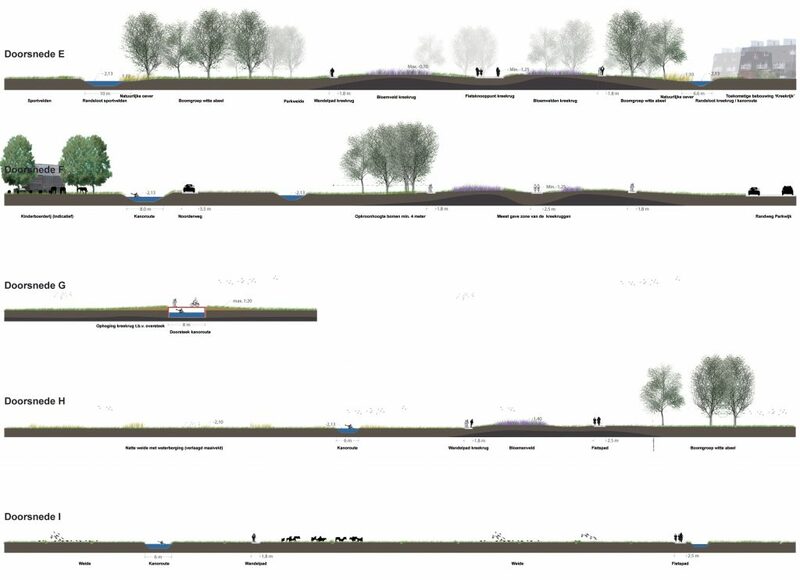 A creek ridge from the period of Oer IJ will become a connecting park zone with winding trails that run all the way into the urban areas. 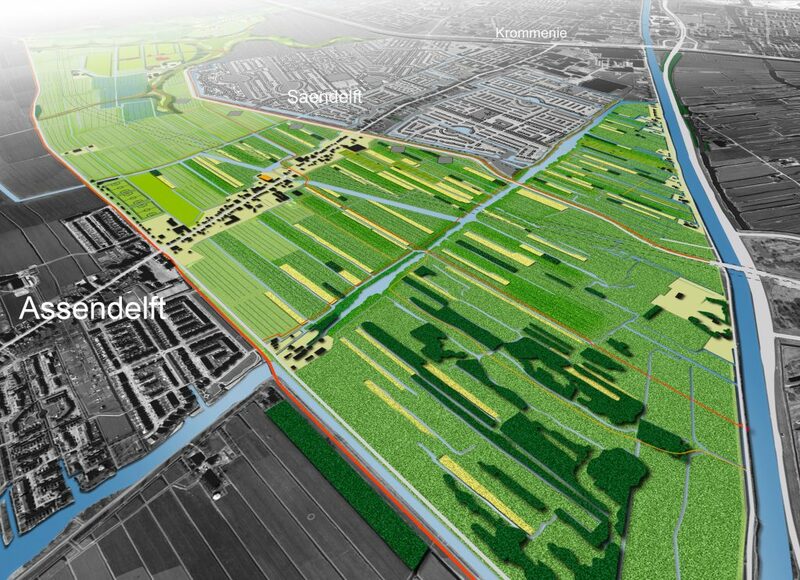 The Kil river from the period of the Hollandveen will receive a more natural character with reed beds and bushy grasslands. 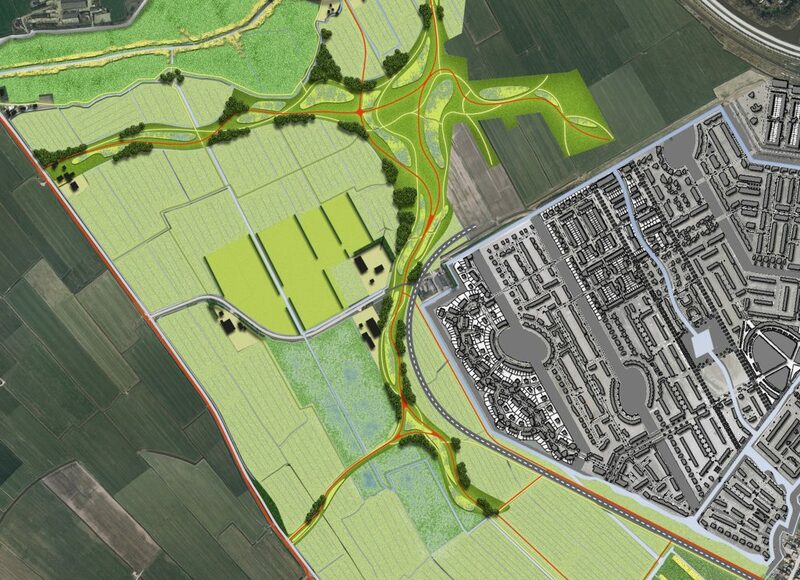 The plot allocation dating back to the heyday of peat reclamation and the elements of the Stelling van Amsterdam (Defense line of Amsterdam) are visible across the entire area as a cultural overlay. 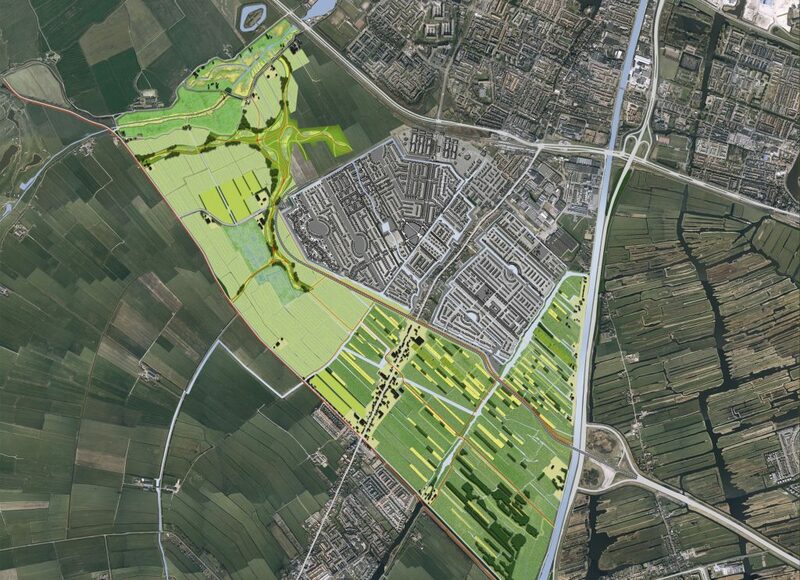 Polder trails, managed agriculture, water storage and sports facilities are all smoothly integrated in the design.